Gout results from urate crystal deposition in and around joints due to persistent elevation of uric acid levels above a critical level (the “saturation point”). It is characterised clinically by recurrent attacks of acute inflammatory arthritis, irreversible joint damage, and increased risk of cardiovascular disease, chronic kidney disease and shortened life expectancy. It is the most common inflammatory joint disease world-wide with a standardised population prevalence of around 1-4% of the Western population. It is the only “curable” chronic arthritis, in that the pathogenic agents (urate crystals) can by effectively removed by use of ULT, supported by lifestyle modifications to reduce modifiable risk factors (e.g. weight loss if overweight or obese, reduction in excess dietary purines/fructose/alcohol, and alteration in antihypertensive and other drug treatments that elevate uric acid levels etc.). 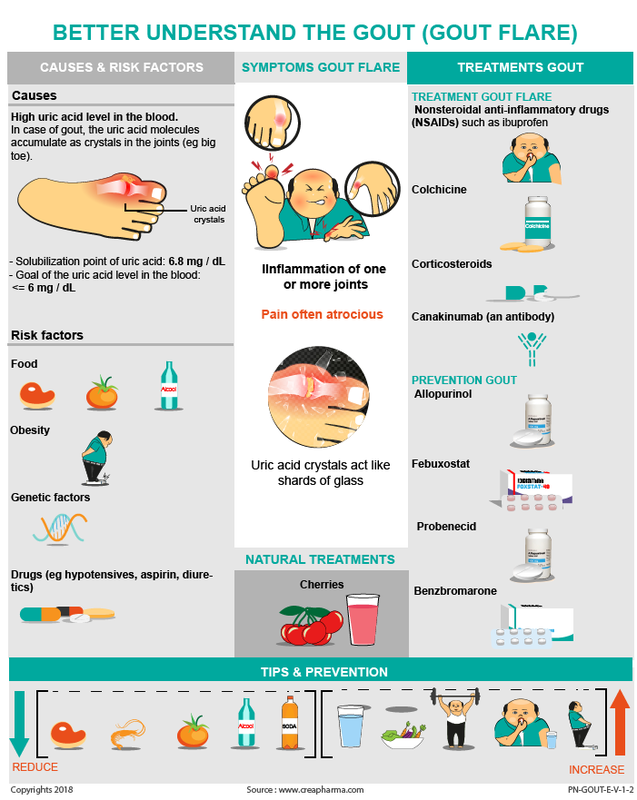 Gout is the most common arthritic disease in the world, with an increasing incidence and prevalence. An increase in hospitalisation for gout has been shown over the last two decades in North America.